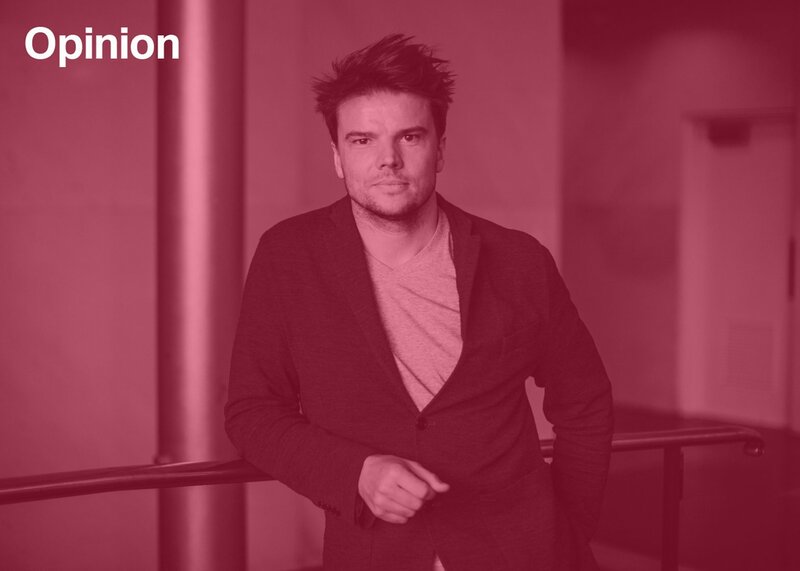 "Nobody plays with form as well as Bjarke Ingels"
Opinion: when it comes to headline-grabbing proposals, Bjarke Ingels and BIG are becoming increasingly hard to beat – and increasingly divisive among critics. Aaron Betsky explains why he's part of the BIG fan club. Nobody plays with form as well as Bjarke Ingels. It is the reason why he is the architect my students love more than any other designer working today – one handed in as her final paper an essay entitled How Bjarke Ingels Will Save the World (of Architecture). A fat book published by Taschen called Hot to Cold, which documents last year's survey of his work at the National Building Museum in Washington DC, shows that the Dane has It in 700-page-plus abandon. The success of his work comes from a combination of a deft manipulation of a limited set of materials and forms, and a conceptual commitment to his twin goals of making science fiction (or video games) real and saving the planet. I am not saying that Ingels is the world's best architect. It's just that nobody other than this relatively young designer and his team, the chutzpah-named BIG, make forms that reverberate as successfully in a culture that is addicted to images manipulated to have instant and high impact. I am a sceptic. I still believe that architecture should be doing something else these days – namely concentrating on the reuse and re-imagination of the landscapes and resources we already have. But, when I see Ingels' apartment tower rising up on the edge of Manhattan, its pinnacle rising to meet the spires in the island's heart while its volume spreads out in a single flow towards the waterfront, its singularity cut by the courtyard that reveals the brittle array of apartments turning towards the views, I am in awe. What is remarkable is how often Ingels manages to astonish with what seem like simple gestures that are both appropriate and bold in their effect. In Kuala Lumpur he proposed turning a skyscraper upside down to make the floors with the views the largest ones. In Park City, Utah, he mimicked and twisted an old mine building and proposed building it out of stacked logs. His Lego Museum is a stack of supersized blocks that some child giant might have left behind after it emptied his box of toys. His contribution to Ground Zero, a tower that uses the need for large studio floors in its lower section to cantilever out and dissolve the thrust of its mass into a piling up of New York's lower blocks, is the first building that seems right for this myth-enshrouded site. The moves the architect uses are, on the whole, fairly limited, and certainly not all original. There is the free stacking, which OMA started and MVRDV and others continued. There is the Moebius strip, which first showed up in the work of UNStudio. There is the twisted tower, which many people have tried to build. And there is the spread or smooch, the figure-of-eight, the squished oval with lifted sides, and the underground building peeking up with tilted corners or a bulging middle. It is no more or less a restricted form language than most good architects use. What sets Ingels apart is his ability to use the right move at the right time and in the right place. The buried building is absolutely the right thing to do in front of the Smithsonian's Castle on the National Mall, as it is for the Maritime Museum next to "Hamlet's Castle" in Denmark. The spread works as well in Tianjin as it does in Manhattan, although for different reasons (it assimilates a shopping mall into the tower and continues the landscape up its base, thus melding the singular object with its surroundings). The ovoid looks to be as good for a museum in Greenland as it does for the centre of the Givskud Zoo, also in Denmark. In addition to these building types, BIG has also proposed landscrapers of note, most notably in its plan for a "resilient park" around Manhattan's tip and in a massive development outside Paris to be called Europa Park. This architect cares seriously about the environment. His parks and his buildings both respond to climate in a thoughtful manner. It is no coincidence that he organised the book from hot to cold climate sites, coding the pages' borders with colours to indicate their location. Much of Hot to Cold is fiction. Many of the most dramatic buildings are just proposals, although a remarkable percentage of them are under construction. For an office that has been around for only a decade or so, BIG has been remarkably productive, and is building in many different parts of the world. This is a tribute to the technologies that tie us all together and let an architect compete globally if he is willing to rack up the air miles (and not worry too much about his carbon footprint). It is also a tribute to Ingels' ability to understand how to make icons that a client or selection committee can understand immediately and that the construction industry, powered as it is today by computer-aided methods, can turn out with equal ease. Ingels' work is also a fiction in the sense that he sees it as a fictional version of the world that exists, a kind of built science fiction. His inspiration is comic books (previous monographs of the firm have taken that form) and writers such as William Gibson, the inventor of cyberpunk, and Douglas Coupland, rather than the monuments of architectural history. This is architecture lite, architecture as a rewriting of the script of our modern world, architecture skating, surfing, and doing parcours up and down the modern city and suburb. All of that means that Ingels has also found a new way to embody the master builder. No Howard Roark he, but also no Frank Gehry or Norman Foster. His mastery has more to do with flips and tricks than with structure and the magnificent play of forms in light. This is not monument making, but a perhaps temporary re-imagination of our scenes into wildly expressive intersections of form. Of course, all of this also begs the question of who is actually making this architecture. In many ways BIG is the most skillful inheritor of the OMA/AMO model, a collective of concept-based manipulators of form with a pop figure icon as its public face. However the work appears, it winds up having a backbeat you can't lose and an awesome super quality that is just, well, so hot and so cool. Bring it on, Bjarke, there is a serious world there with serious problem that could use some playful form. Aaron Betsky is dean of the Frank Lloyd Wright School of Architecture. A critic of art, architecture, and design, Betsky is the author of over a dozen books on those subjects, including a forthcoming survey of Modernism in architecture and design. He writes a twice-weekly blog for architectmagazine.com, Beyond Buildings. Trained as an architect and in the humanities at Yale University, Betsky was previously director of the Cincinnati Art Museum (2006-2014) and the Netherlands Architecture Institute (2001-2006), and Curator of Architecture and Design at the San Francisco Museum of Modern Art (1995-2001). In 2008, he also directed the 11th Venice International Biennale of Architecture.